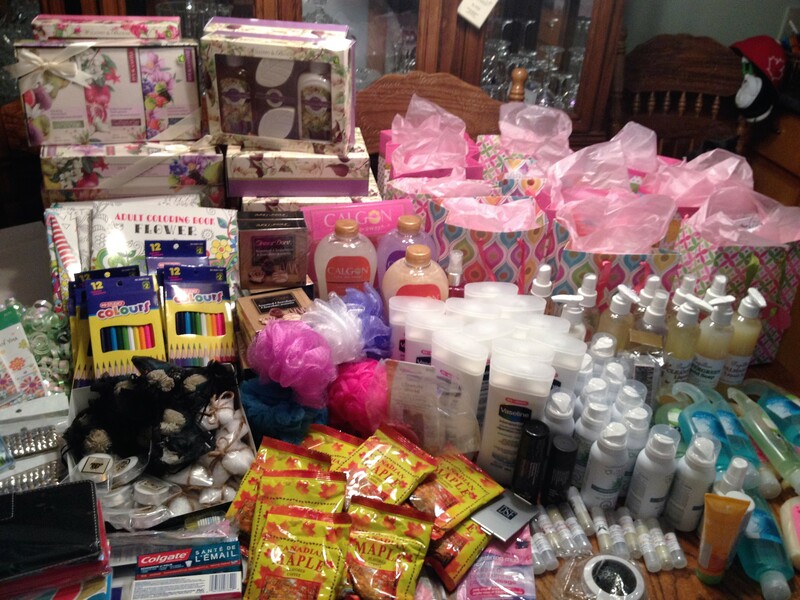 Help us celebrate Mother’s Day on Sunday May 12, 2019 by donating items to put together into our 15 Gift Bags that will be donated to the women at Herizon House Women’s Shelter. 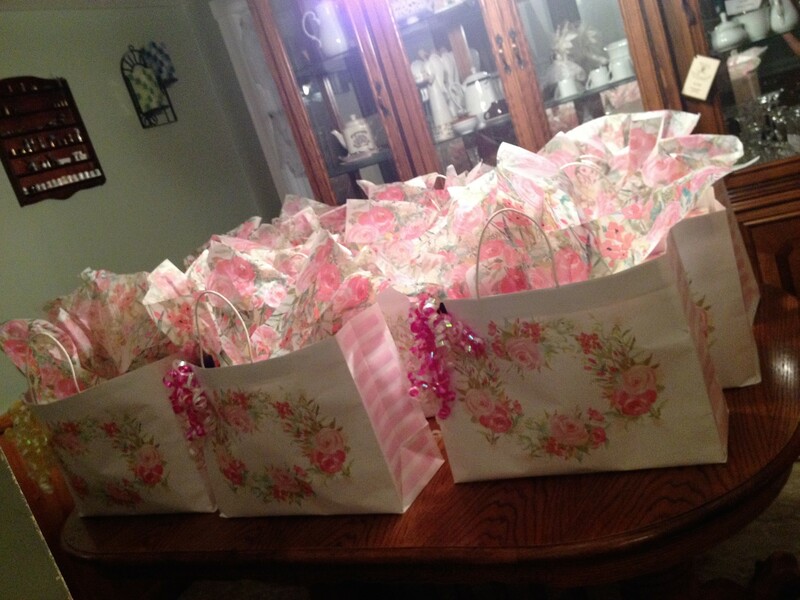 A total of 15 Mother’s Day Gift Bags will be given away this year with the help of some wonderful angels who give from their heart. 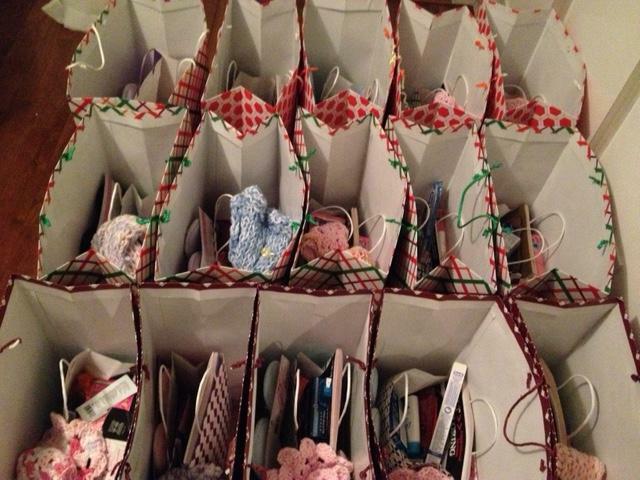 We are now accepting collections of donated items for these very special gift bags. 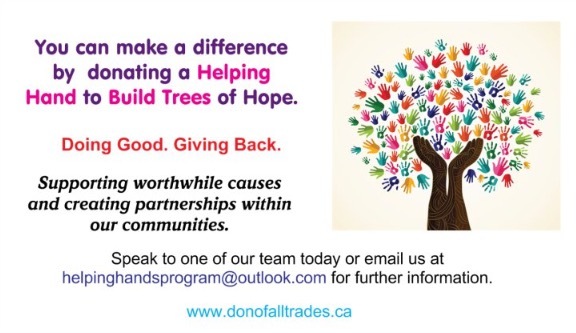 Visit our Don of all Trades Community Page at http://www.donofalltrades.ca to find out how you can donate! Your donated items will help brighten the holidays for women in shelters. Now You Can Get Updates on this Event and More on Our Helping Hands Building Tree of Hope Fundraiser Page! Please contact Volunteer Coordinator, Yolanda D’Orazio by email at: helpinghandsprogram@outlook.com for more information on how you can help and for donation drop off location. 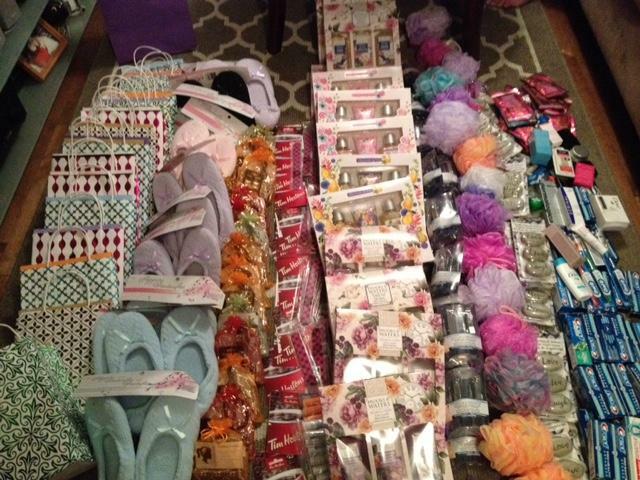 Our team is at Don of all Trades Professional Home Maintenance Services and our Helping Hands Building Tree of Hope Program is proud to mention that this is our 3rd year contributing these very special and meaningful gift bags and look forward to help brighten this Mother’s Day Holiday for women in shelters! Welcome to our FIFTH ANNUAL Hope Rising Concert Fundraiser! 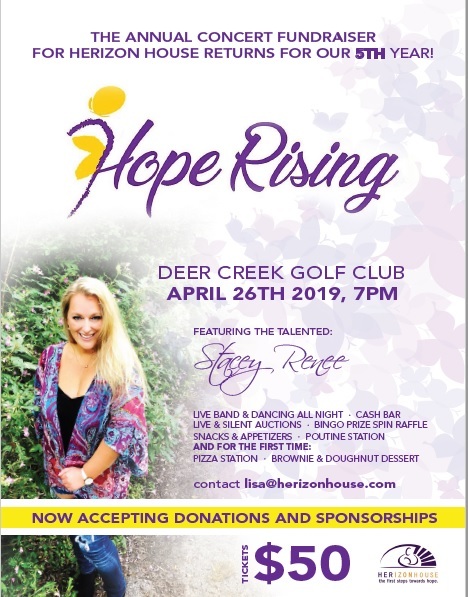 We are celebrating this milestone by going to the next level with our favorite event; a bigger room at beautiful Deer Creek, a bigger menu with additional food stations, a bigger band to rock the stage with Stacey Renee, and even more auction items and prizes than before! Pizza Station, Brownie & Doughnut Dessert. Be sure to get your tickets today. This is the year to be a part of our greatest celebration ever! Painting your basement can have a major effect on how the space looks and feels. It’s astonishing what a fresh coat of paint can do when attempting to spruce up a room, and your basement no different. Unfortunately, bringing a basement to life can be somewhat more difficult than other rooms in your home. Numerous basements are just utilized as storage areas, but wouldn’t it be wonderful to use your space as a home office, a basement gym, or a room your whole family can enjoy? Below are some photos of a recent basement project our team at Don of all Trades Professional Home Maintenance Services completed along with our 6 painting tips that we hope will inspire and help to make your basement a friendly and happy place. This isn’t as complicated as it sounds. Locate the places that get a lot of natural or artificial light and paint these areas with lighter colours. The whole point here is to focus on the areas that are already accepting light and keeping the lighter paint colours out of the darker regions of your basement. Applying rich colours will help give your basement an “open” feel. Numerous homeowners aim to achieve this with light colours, for example, white or yellow, however using a richly saturated paint choice like a Benjamin Moore Interior Latex Pearl Base Paint in Whale Gray Colour code# 2134-40 can be more effective than choosing an poorly saturated yellow paint as an option. Using a large number of colours can overwhelm your room. Interior designers suggest utilizing the 60-30-10 standard to shield your room from having an excessive number of colours. 60% of the room should be the dominant color. 30% should be the secondary color. For this project we made it simple. 2 colours were chosen to paint this basement space. A Pearl base Whale Grey hue for the walls and Semi Gloss White Interior paint for the ceilings and trim. White window treatments were used as accents to finish off this now organized, fresh and clean space. Light helps give the illusion that a room is bigger (and much cleaner) than the actual space. You can easily create this effect by incorporating a table or floor lamp. Track lighting or lights suspended from your ceilings can also be a simple and affordable approach to include extra lighting. Installing recessed lighting can involve more work and more expensive as an option however, it adds a updated modern look and feel to a room. A basic and affordable solution to expand the light in your basement space is through the use of mirrors. Mirrors help “ricochet” the light around the room and give the illusion the space is larger. For this basement painting project, the home owner decided to keep all original light fixtures and pot lights but decided to replace existing light bulbs with Ecosmart 60W Soft White LED Light Bulbs. 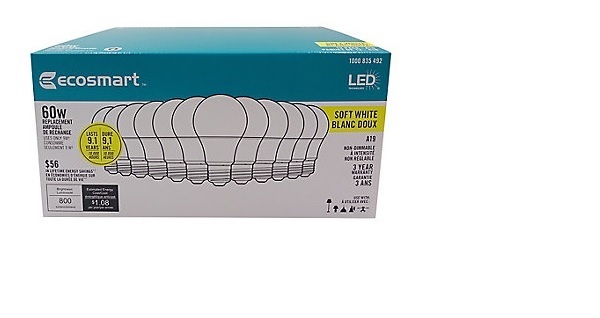 The EcoSmart A19 8.5-Watt LED Light Bulb can be used to replace a traditional 60W incandescent A19 light bulb. This LED light bulb has an output of 800 Lumens and can last up to 10,000 hours, saving you up to $56.65 per bulb over the bulb’s life. The bulb is designed for indoor use and features an A-line shape and medium base. EcoSmart A19 bulbs are perfect for your living room, bedroom, kitchen or any place in your home where you would use a standard incandescent light bulb. These bulbs give off a lot of light and were the perfect solution to brighten up this basement. Because basements have a tendency to be damp, glossy finishes are an excellent paint choice and more suited to resist stains and moisture. Remember to make sure your walls are smooth and clean before you apply the paint as glossier finishes tend to show imperfects more than other paint finishes. Using concrete paint is a little different than regular wall paint because it generally requires more paint to cover the surface. When painting concrete surfaces keep in mind that it can take over a week to finish the job however, your concrete walls will be protected with the proper finish. Looking for more great home improvement tips & ideas? Check out more of our blogs below! Have a question about your home improvement project? Get in touch with us. We’d love to hear from you! Call to book your complimentary in-home estimate at: 905-259-5249 or visit our newly renovated website at www.donofalltrades.ca today! NEW– Helping Hands Building Trees of Hope Update! 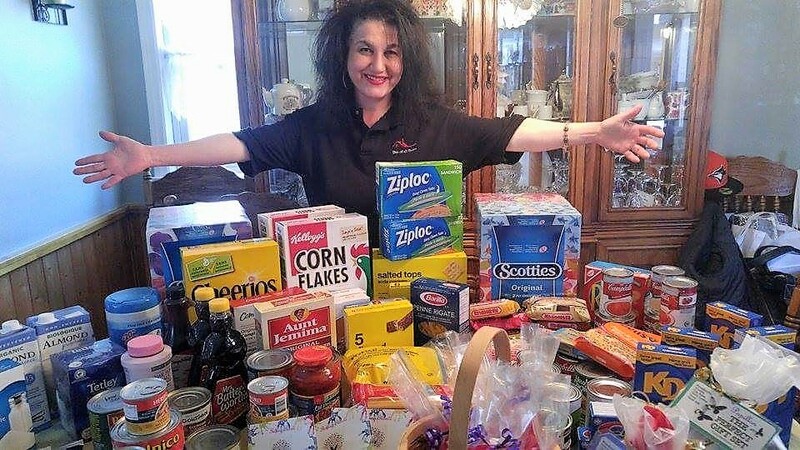 Sending out a HUGE THANK YOU to everyone who made a contribution to our Helping Hands Food Drive in support of Herizon House Women’s Shelter. We collected 301 non perishable food items, 2 grocery store gift cards, 6 books and 8 toiletries items that were all donated to the women’s shelter. We would also like to thank everyone for adding their Helping Hand to our Tree of Hope! We look forward to doing more and giving back to help our communities in 2019! Read more about this special food drive on our Helping Hands Building Trees of Hope Facebook Page! Find our current events, updates, photos and information on how we are working together to make our community better! This is a special place so be sure to visit often. 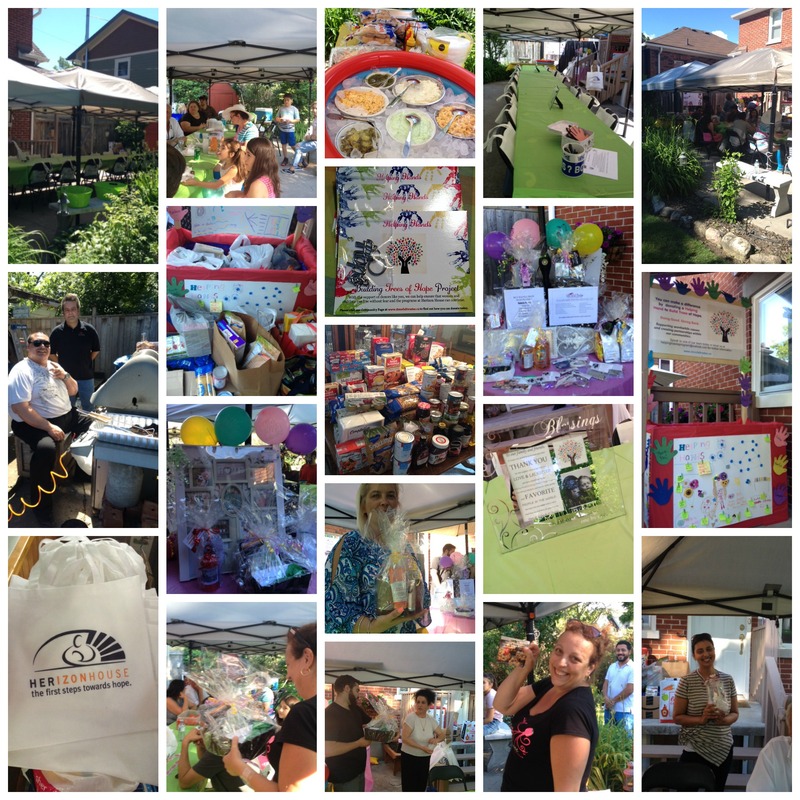 On Saturday, June 24, we were once again delighted to invite our friends, clients, local businesses owners, neighbors and family around for our third annual Don of all Trades Charity BBQ Event benefiting Herizon House Women’s Shelter as it made for a fun and inspirational afternoon and helps the community! Shout Out to our Volunteers! This year Don decided on building a very special Helping Hands Food Donation Bin and our beautiful nieces worked very hard to help this bin look even more special by adding their artistic talents and messages they wanted share about giving back to the community. These two beautiful girls did such an amazing job. The bin was beautiful! 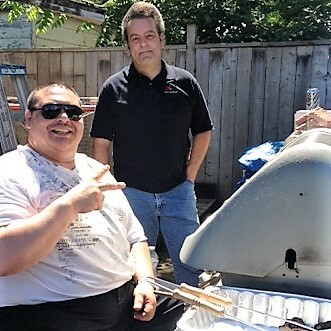 We were so glad our good friend Carlo came over to give Don a hand with the cooking. Carlo was a tremendous help and fixed our burger malfunction issues right away! The burgers were delicious. Great job Carlo and thank you! Setting Up for Our Event! Thank you Mother Nature for blessing our Don of all Trades Family BBQ Event with the PERFECT WEATHER on Saturday June 24, 2017! After over a month of rain, we couldn’t have asked for a more beautiful day to celebrate with so many wonderful people for such a great cause! Our event is getting a little bigger every year with new guests wanting to show their support and just have a good time. This year we added another 10×10 Gazebo Tent to keep everyone protected from the sun and rain. With a lot of planning and organizing in advance, this day went off without a hitch. We decided to keeping it all simple with a basic menu of hot dogs, sausages, hamburgers, condiments, buns, a variety of cold salads, watermelon, cold beverages, freezes for the kids and we saved the best for last…CAKE! Thank you to everyone who came out and showed their support and donated non perishable food items including raising money at our raffle prize table and for adding new Helping Hands to add to our Tree of Hope in aid of Herizon House Woman’s Shelter. Don and I are so happy our guests attended and it was so nice seeing some old faces and new ones! Our only regret was that our sons weren’t able to attend because of work. We wished we could have spent more time talking to everyone. These incredible guests helped make our event a HUGE SUCCESS! We hope they all had a good time. We look forward to hosting this event again next year and hope you’ll come back to join us! Don of all Trades has always ended an event with cake! After all who doesn’t like cake? We love cake! This wasn’t just an ordinary cake. This was a special Helping Hands Cake in both chocolate and vanilla cake flavouring with a custard filling. Did I mention that this was a BIG cake? A full slab to be exact and everyone who came to this event all had a piece because everyone donated a helping hand to add to our Tree of Hope. Thank you Whitby Shores Metro for creating yet another beautiful cake for such a special event. It was delicious! Every guest who attended our Don of all Trades Family Charity BBQ also went home with a swag bag filled with lots of neat items and goodies. 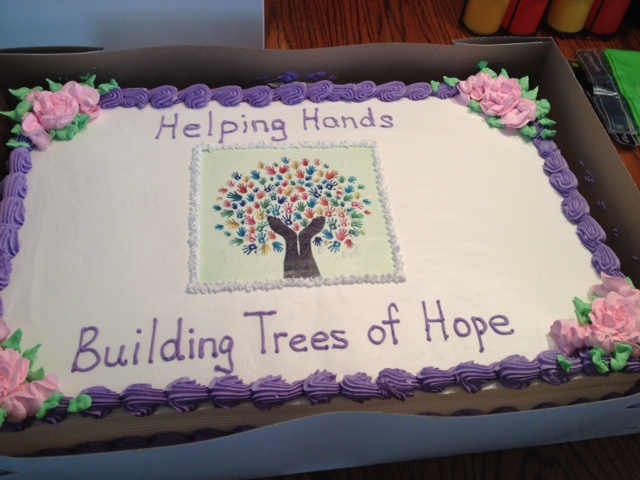 Our Helping Hands Building Trees of Hope Program raised $300.00 through our raffle prize table during our third annual Don of All Trades Family Charity BBQ Event on June 24. 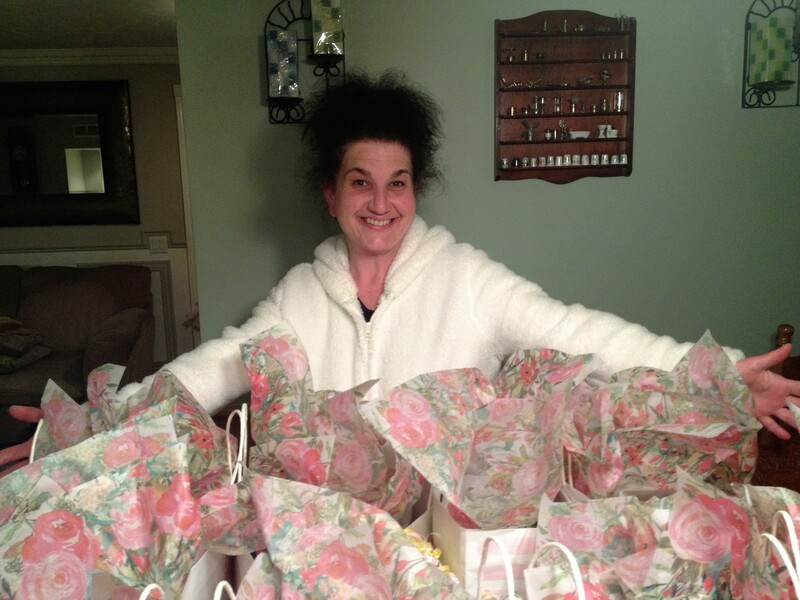 Linda Cully , owner of Linda’s Esthetics was on a roll winning lots of prizes at this event! ⦁ Slush fund for the women and kids – money on hand for unforeseen immediate needs such as underclothing in their size or items needed for the children’s schooling/special needs. and a thank you to our friends Marg and Yvonne who also donated raffle prizes! 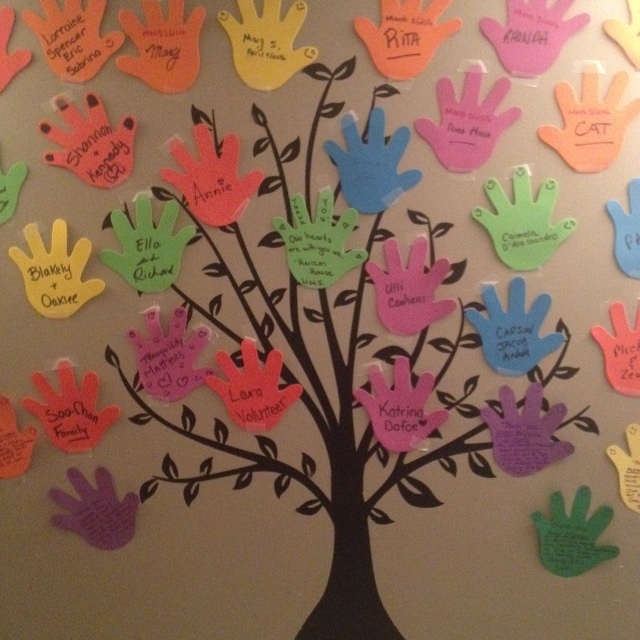 Introducing New Helping Hands To Add To Our Tree of Hope! There was no charge for this event but we asked for each guest to donate NON-PERISHABLE Food items from our wish-list for the women and children staying at the shelter and for their outreach program. We did it! 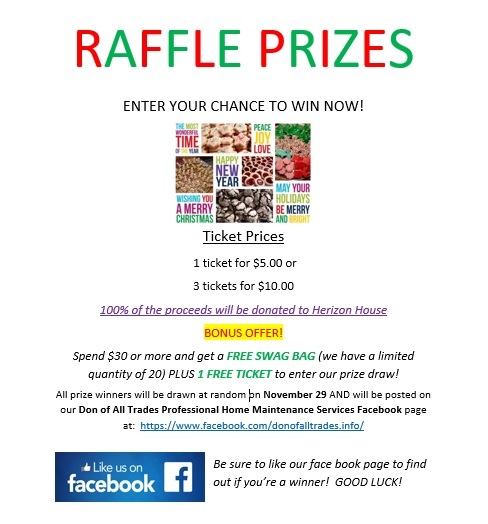 Thanks to your generous support, our Helping Hands Building Trees of Hope Program raised $300.00 through our raffle prize table during our third annual Don of All Trades Family Charity BBQ Event with 211 non-perishable food items and 2 bags of brand new women’s clothing which was all donated to Herizon House Women’s Shelter. 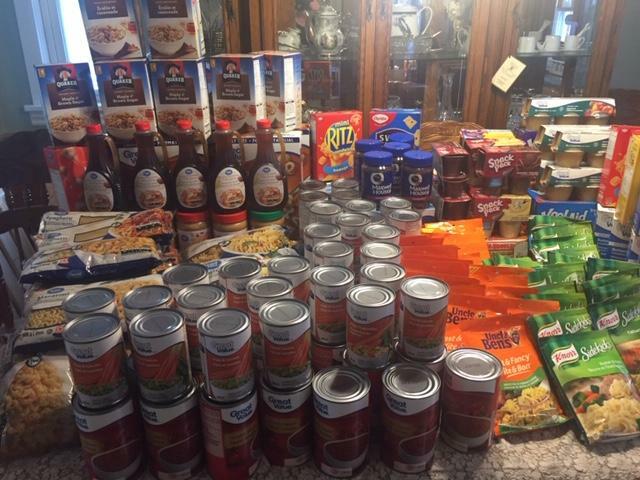 These gifts provides critical support at Herizon House as they have a full food service program and are always in need of food. 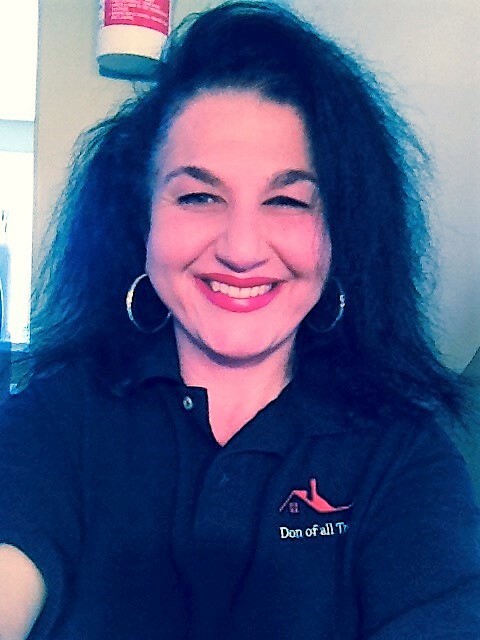 At Don of all Trades Professional Home Maintenance Services, we believe it’s important to give back to the community. By supporting organizations like Herizon House Women’s Shelter we acknowledge that in order to end the cycle of violence we must work in partnership with our community. On behalf of all of us at Don of all Trades Professional Home Maintenance Services thank you again for participating at our charity event., donating a new Helping Hand to add to our Tree of Hope and supporting women and their children in Durham Region! 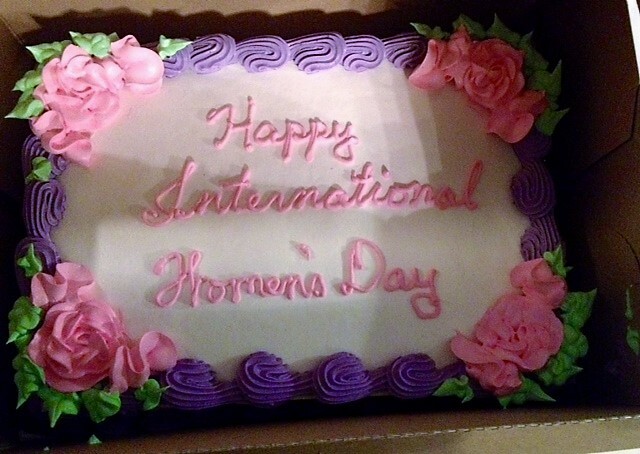 March 8 is officially International Women’s Day and is an annual celebration of the respect, honor and appreciation towards women across the world. It is also a recognition of the economic, political and social achievements that women have fought for over the years. Don of all Trades Professional Home Maintenance Services was once again delighted to invite this very special group of women to our second International Women’s Day Lunch Event, as it made for a fun and inspirational afternoon and helped the community! Here’s how our wonderful afternoon unfolded below. Our guests joined our Don Of All Trades Team on Sunday, March 12 for a complimentary Italian style buffet lunch in their honor that was held inside the party room of the La Rosa Ristorante, a local establishment in our community. 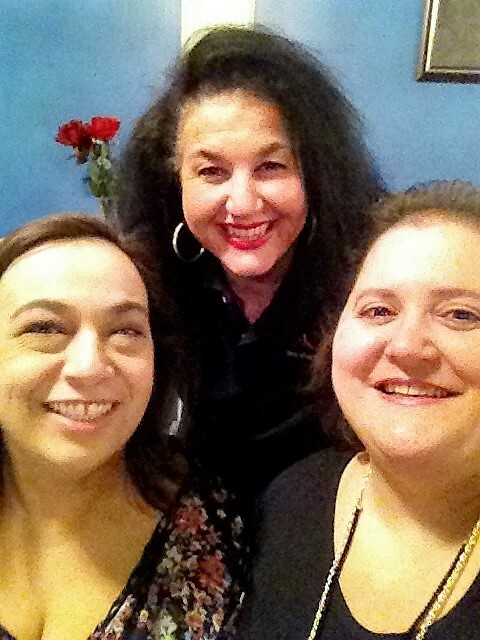 Thank you to all the staff at La Rosa Ristorante who made our event extra special and the food was delicious! We definitely will be coming back! This lunch was dedicated to these very special women who have shown so much kindness, strength, courage, support, friendship, empowerment, generosity, love and dedication over the years. Each one of these very special ladies shares a special place in our hearts because they have made so many positive impacts not only in our personal lives but by also showing an overwhelming support with our Helping Hands Building Trees of Hope Program benefiting Herizon House. Don of All Trades celebrates #International #Womens #Day 2017 with some amazing women! Sending out a HUGE SHOUT OUT to our guests: Rhonda Lee Axhorn, Karen McIsaac-duguay, Lisa Deanne, Margaret Stoll, Shannon Sheppard, Carmela D’Alessandro, Angela Gazze,@Yolanda Campagna, Danny D’Orazio, Stephanie Atwood, Ginette Vachon and Yvonne Eglinski who shared our special day in their honor at La Rosa Ristorante on Saturday March 12, 2017. Great things can happen when you work together to help make a difference in the community! 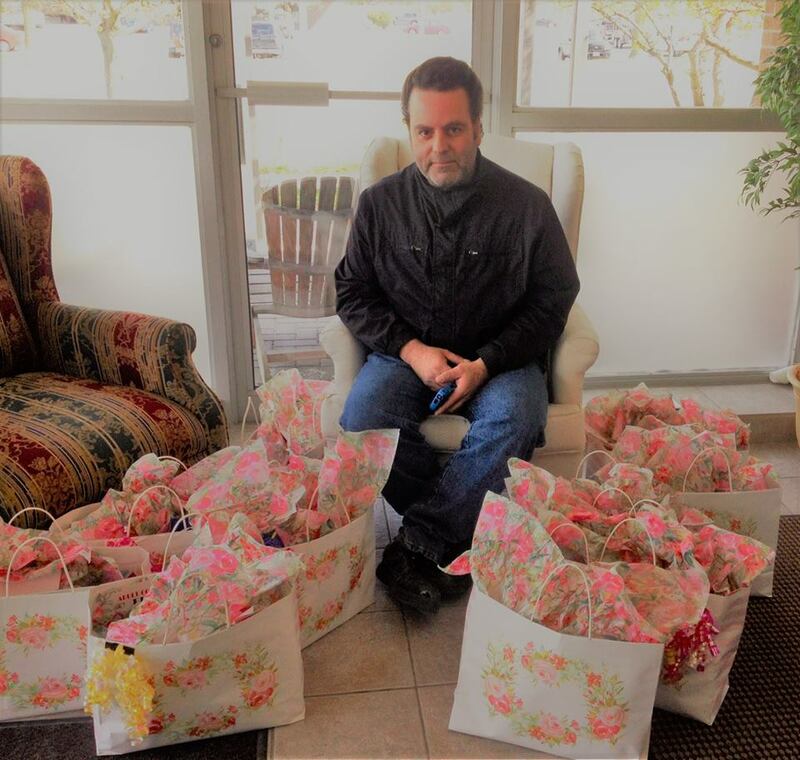 Thank you for your generous donations of non perishable food items, women’s gift sets, hand creams and various baby items that will be donated to Herizon House and Thank You All for coming out to have lunch in your honor! We helped donated over 147 items at this event to help the women and their children fleeing abuse and violence through the wonderful efforts of Herizon House. Kudos to everyone who helped out and showed their support at our Helping Hands Christmas Cookie Fundraiser on Saturday November 26, 2016. 2016 Helping Hands Christmas Cookie Fundraiser. 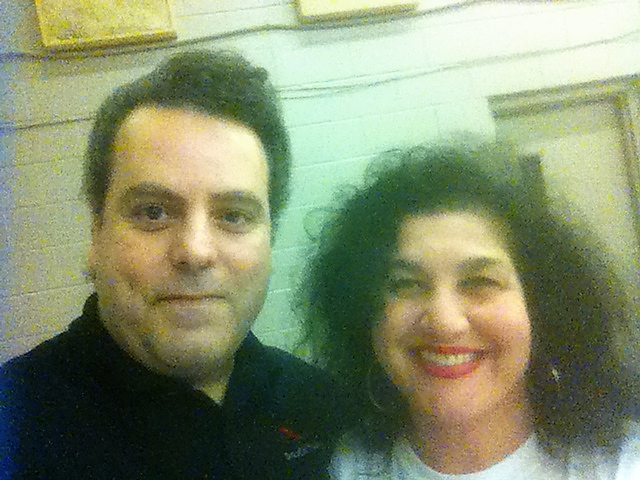 On left Don DOrazio, Founder of Don Of All Trades Professional Home Maintenance Services and Yolanda DOrazio Volunteer Coordinator of the Helping Hands Building Trees of Hope Project. 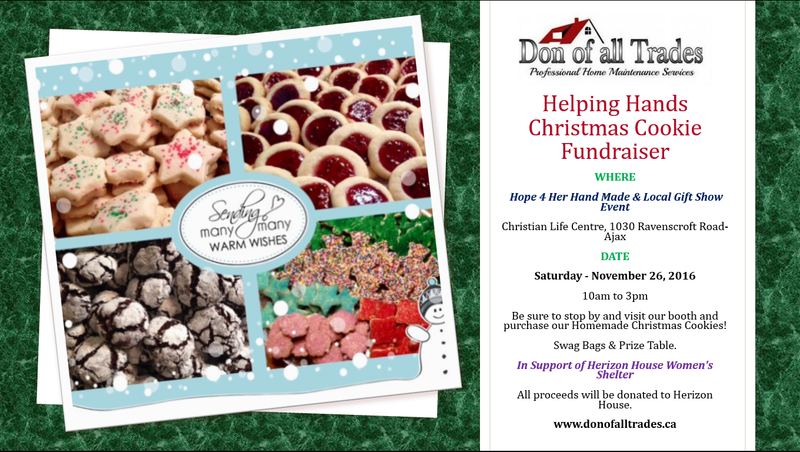 Kudos to everyone who helped out and showed their support at our Helping Hands Christmas Cookie Fundraiser at the Hope 4 Her Gift Show on Saturday November 26, 2016. After weeks of baking, planning and organizing to be part of this very special day, our team at Don of All Trades is proud to announce that our tables raised $713 that was donated to Herizon House Women’s Shelter. We also wanted to send out a HUGE Thank-You to everyone who bought cookies before the event! What an incredible and humbling experience to help give back to our community. This was a lot of work but it was so worth it! Looking forward to doing it all again, in 2017. 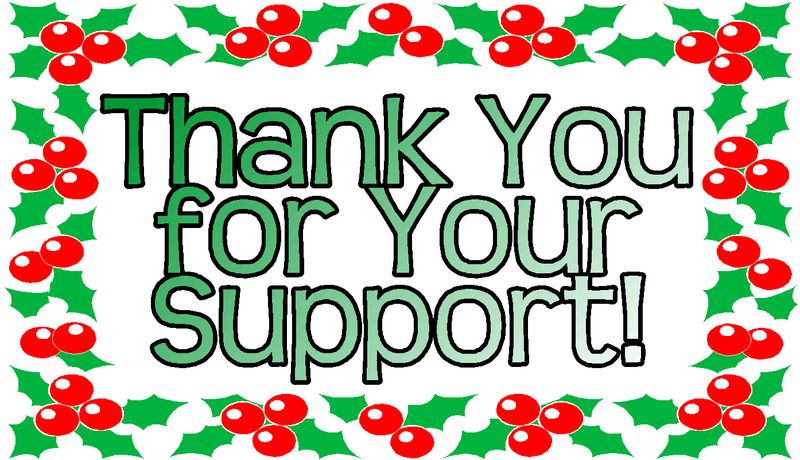 Thank you and Happy Holidays from our team at Don of All Trades Professional Home Maintenance Services. Look at what we baked! View photos of our event! Welcoming our latest 2016 Helping Hands donators! Sending out a SHOUT OUT to the true Community Events Coordinator Lisa Smith and the host for Hope 4 Her Hand Made and Local Gift Show that was held on Saturday, November 26 benefiting Herizon House Women’s Shelter. Thank you for letting Don of All Trades and our Helping Hands Building Trees of Hope Program participate in this amazing event once again for all the good work you all do! Thank you for letting Don Of All Trades be part of your special event! Important information about Herizon House and what important services they provide to our community. 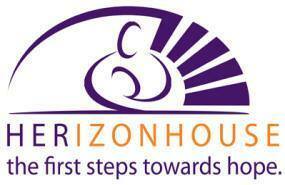 Herizon House is a 30 Bed Emergency Shelter serving women and their children fleeing abuse and violence. -A safe and non- judgmental environment for women leaving abusive relationships and wishing to live independently of their abusers. Women in crisis can find support 24 hours a day by calling 1-866-Herizon (1-866-437-4066). We provide a place of Safety, Support and Empowerment for abused women and their children. We are committed to ending the cycle of abuse and violence in the community. Remember, Every woman has the Right to Live a Life Free from Abuse. IT’S DON OF ALL TRADES LAST FUNDRAISING EVENT OF THE YEAR! Don of All Trades Professional Home Maintenance Services is proud to announce that our Helping Hands Building Trees of Hope will once again be a vendor at this years Hope 4 Her Handmade and Local Gift Show in support of Herizon House. It’s our last fundraising event of the year and we want to end 2016 with Bang to help raise money benefiting Herizon House Women’s Shelter! 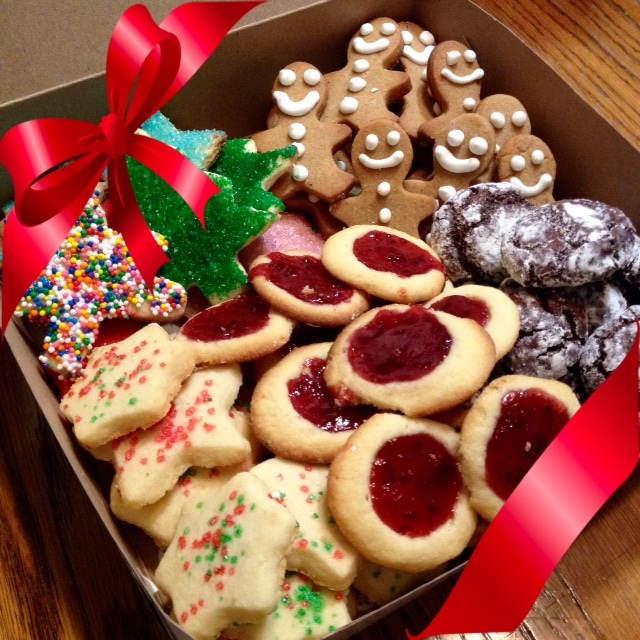 BE SURE TO DROP BY OUR HELPING HANDS CHRISTMAS GOODIE TABLES FOR FREE SAMPLES OF OUR HOME MADE BAKED COOKIES! 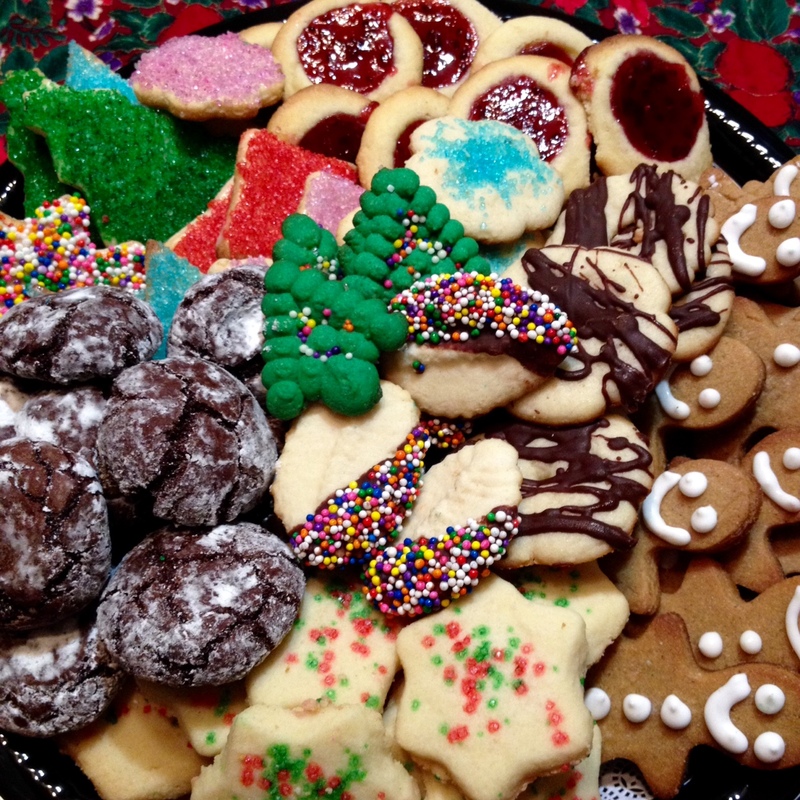 Our Helping Hands Building Trees of Hope will be offering a variety of baked Christmas Cookies for sale just in time for the holidays! 100% of the money raised from our tables will be donated to Herizon House. YOU CAN MAKE A DIFFERENCE BY DONATING A HELPING HAND TO BUILD OUR TREES OF HOPE! Everyone who purchases any of the items at our tables will also donate a Helping Hand that will be added to our second Tree of Hope which we hope to complete by December 31, 2016. 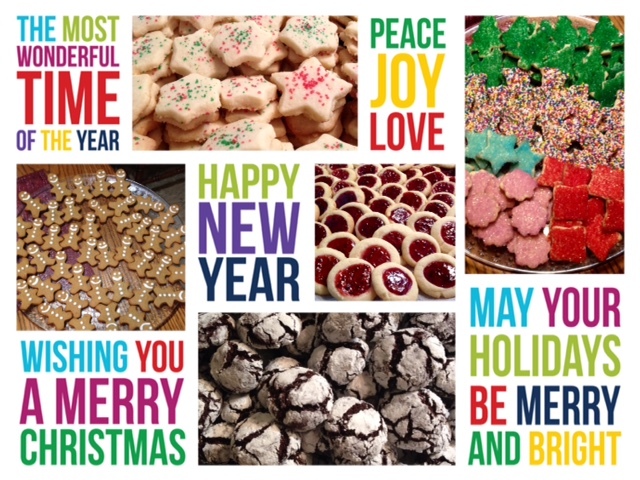 WELCOME TO OUR CHRISTMAS COOKIES! 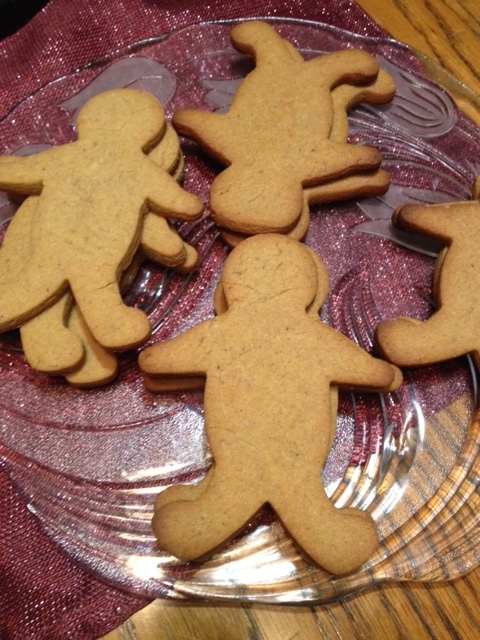 Individual decorated Gingerbread Men & Gingerbread Women cookies $3.00 each. Spend $30 or more and get a FREE SWAG BAG (we have a limited quantity of 20 swag bags only) and 1 free ticket to enter into our prize draws! ENTER YOUR CHANCE TO WIN COOL PRIZES FROM OUR PRIZE TABLES! 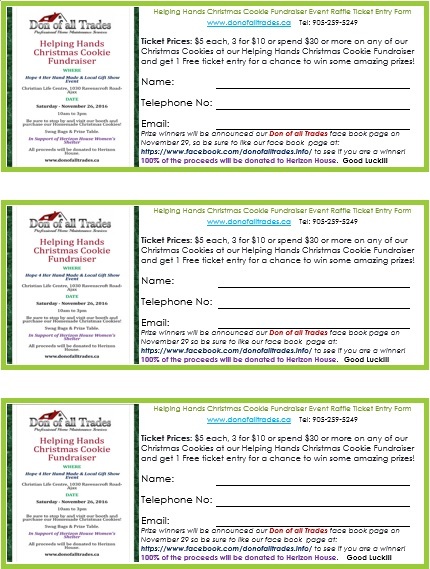 1 for $5 OR 3 for $10 OR spend $30 or more on any of our Christmas Cookies at our Helping Hands Building Trees of Hope Tables, and get 1 FREE TICKET for a chance to win some amazing prizes. 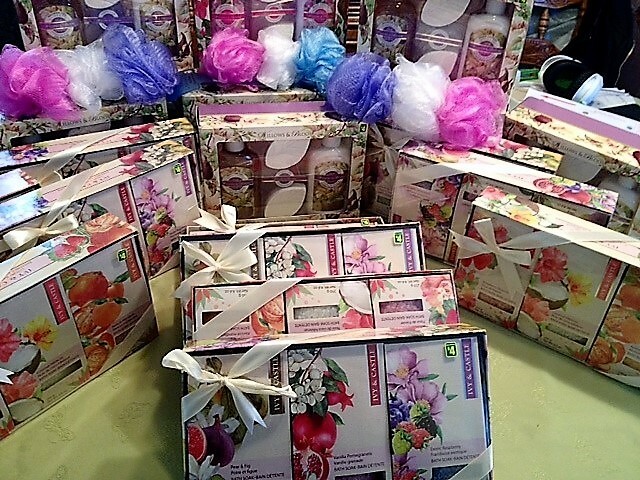 PRIZE WINNERS WILL BE POSTED ON NOVEMBER 29 ON OUR FACEBOOK PAGE SO REMEMBER TO LIKE US ON FACEBOOK! Remember, 100% of the proceeds will be donated to Herizon House Women’s Shelter. This is a great way to shop for that special gift for the holidays, save time on your holiday baking, support local businesses and give back to the community! Event Location: Christian life Centre, 1030 Ravenscroft Rd.-Ajax in support of Herizon House. Questions? Check out our Community Event Page on our website at www.donofalltrades.ca. From Don of all Trades Professional Home Maintenance Services!